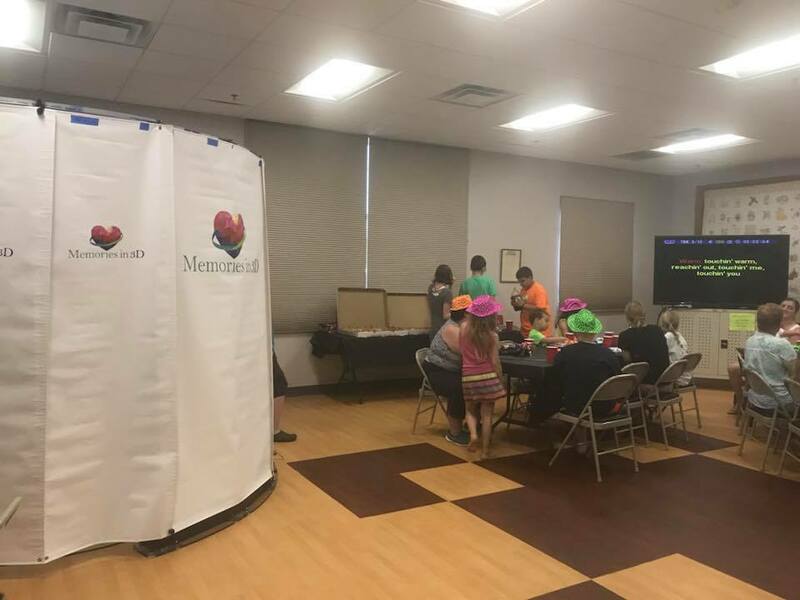 We brought our 3D photo booth to the Macedon Public Library on Wednesday, August 15th, for their Summer Readers Rockstars Party! All kids in attendance could get a free 3D photo taken in our state of the art booth. Six lucky winners were also chosen by the library to receive a free 4 inch figurine of themselves from us, in a free display case! Pretty cool prize if I do say so myself! Rock on, Summer Readers! If you’d like to get your own figurine, bobble head, crystal, Christmas ornament, wedding cake topper, etc., email us any time at info@memoriesin3D.com. Or call 888-636-4633 (888-MEM-IN3D). We’d love to help you add your third dimension!